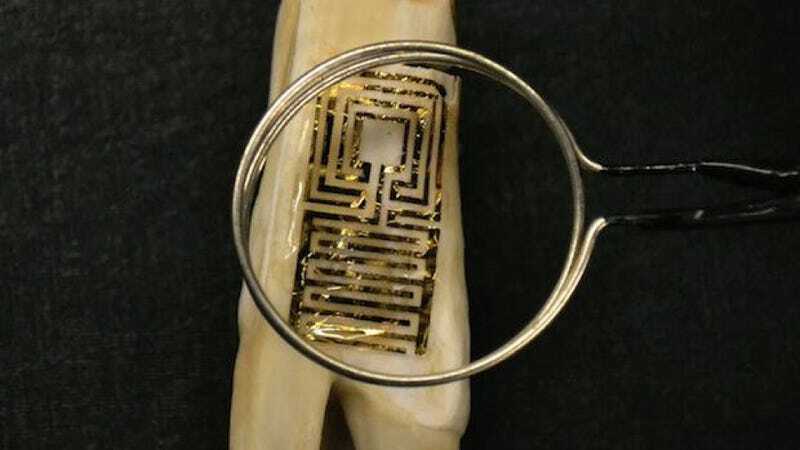 It could come in handy for military personnel in the field to determine whether a wound has become infected, or in hospitals where patients with weakened immune systems are extra vulnerable to bacteria. Michael McAlpine and his team at Princeton created the remote chemical sensor starting with graphene, a one-atom-thick layer of carbon. Onto that they incorporated a peptide that had to have a dual function: stick to the graphene and detect bacteria at the single cell level. They found a peptide rich in "aromatic residues," which are apparently sticky, and combined that with another one they isolated from a tropical frog that's super sensitive to three specific bacteria. An RFID incorporated into all of that can communicate alerts about an infection.